Rivaldo Soares made sure the accomplishment came in picture-perfect fashion. 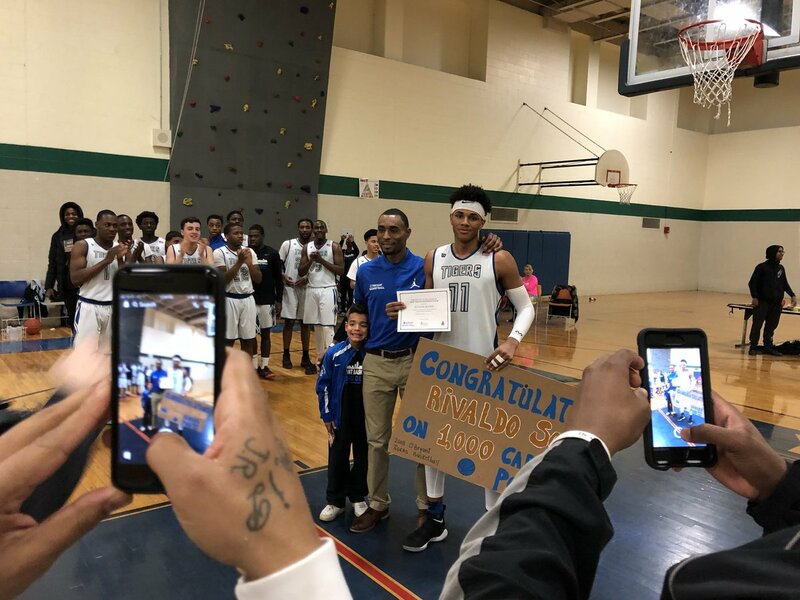 On Wednesday in the third quarter of O’Bryant’s 68-56 win over East Boston, Soares scored his one thousandth career point on a two-handed, fast break dunk. Soares became the first player to reach the plateau under O’Bryant (10-2) head coach Drew Brock’s stewardship. The milestone was the highlight of what was a well-rounded night for the junior guard as he scored 25 points, dished out seven assists, and corralled six rebounds. It looked as though Soares would reach the scoring plateau at the free throw line as he got hit in the open court and was sent to the line for a one-and-one. Soares drilled the first one but elected to miss the second one on purpose. He knew an accomplishment of that magnitude needed some fireworks. Needing 18 points entering the night, Soares showed his abilities as a facilitator in the first half as he piled up five assists. Michael Celestin and the Jets, meanwhile, hoped to spoil the party as Celestin scored seven points to lead East Boston to a 31-29 lead at the break. Once Soares heated up to begin the third quarter there was no slowing him down. Soares scored seven consecutive points, including a pull-up trey from the top of the key, as part of a 10-2 Tigers’ run that put them up 46-36. He then got within two of the mark on a mid range jumper before hitting one at the charity stripe to reach 999. At last, Soares threw down the exclamation point as off an East Boston turnover, Sana Dahaba threw it up ahead to his captain who corralled the pass and hammered home a vicious two-handed slam. Now, with the one thousand-point celebration behind him, Brock hopes Soares can take the program to the next level.